Come celebrate the season with the Twin Rivers Community Choir – songs of Comfort and Joy! Dec 7 and 8. Showtime 7:30pm, doors open 6.45pm. 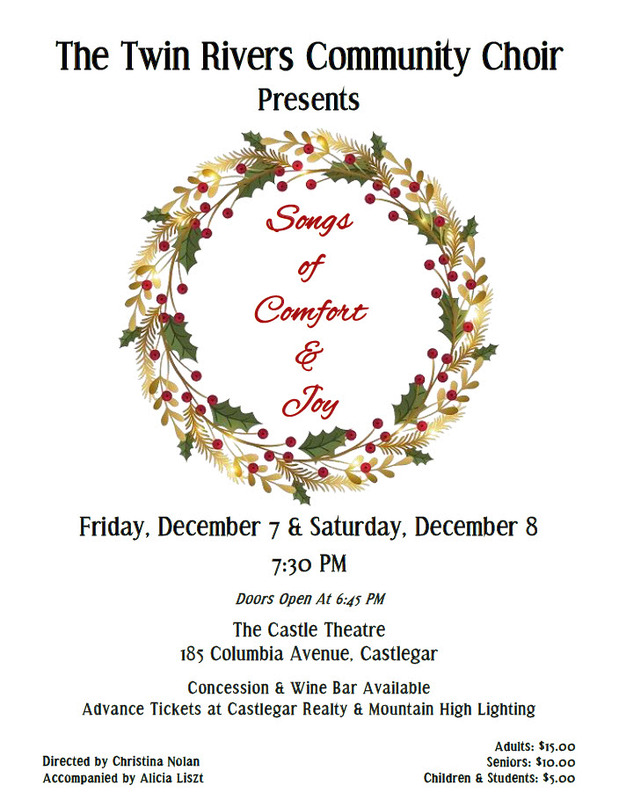 The Castle Theatre, 185 Columbia Ave.
Advance ticket sales on now at Castlegar Realty & Mountain High Lighting.